There are secrets to making a truly delicious bowl of porridge... the most important is the practice of soaking the oats overnight. This not only gives a creamy textured porridge but it's also vital for your well being. The oat groat is the whole oat with the husk removed. 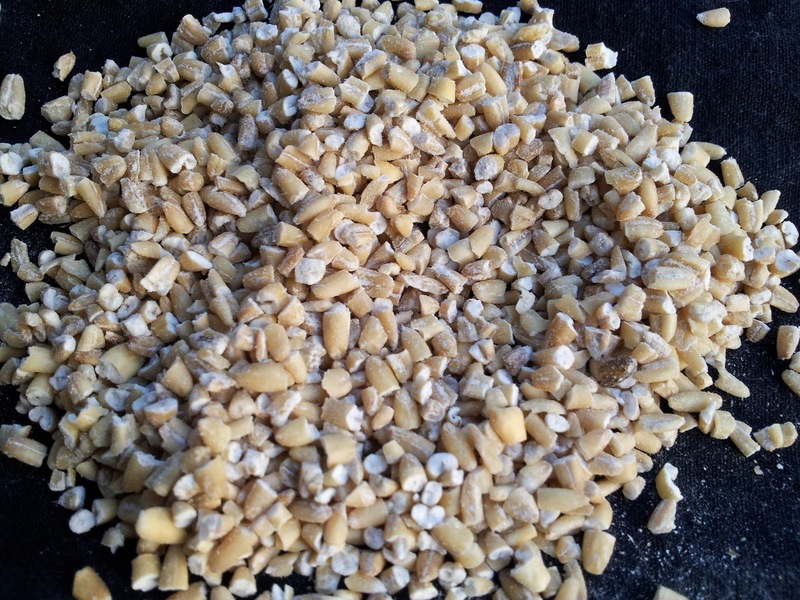 The whole groat after time in the kiln is used in Pinhead or Steel cut oats. You will probably only find this product in a health food or organic supply shop. The only whole grain steel cut oats I found were Bob's Red Mill organic oats from the US. 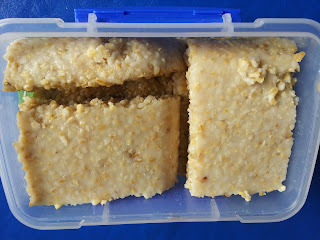 Steel cut, pinhead or Irish oats need a lot more cooking than rolled or whole oats but for me the result was worth the effort because the resulting porridge had a texture more like rice pudding with a real "nutty" flavour. 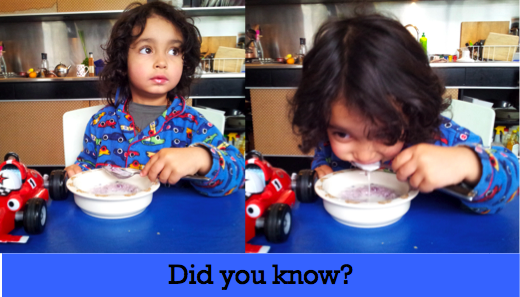 I was introduced to soaking oats a couple of years ago. My friend Kate had been to a fermented food workshop and told me soaking the oats makes porridge easier to digest. I didn't look into why at that time but took to soaking oats because Kate is usually right. 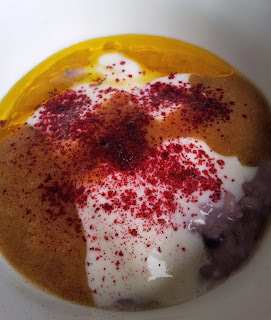 I discovered the resulting porridge had a better consistency so have continued this practice just like my Scottish ancestors would have done. I thought you would want to know why soaking is so important. 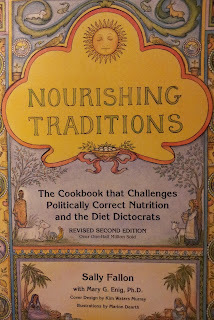 I went straight to my ever handy nutrition bible "Nourishing Traditions" by Sally Fallon. "All grains contain phytic acid in the outer layer or bran. 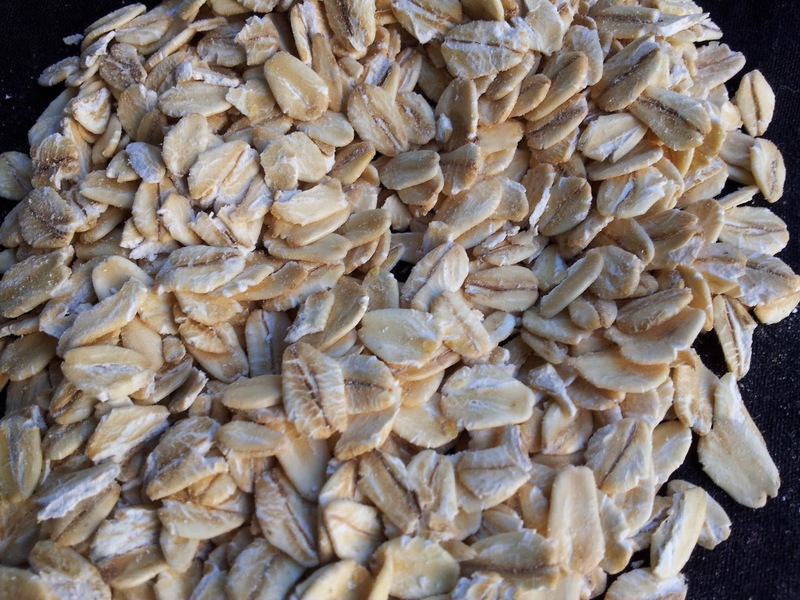 Oats contain more phytates than almost any other grain. Untreated phytic acid can combine with calcium, magnesium, copper, iron and especially zinc in the intestinal tract and block their absorption. This is why a diet high in unfermented whole grains may lead to serious mineral deficiencies and bone loss. Soaking allows enzymes, lactobacillli and other helpful organisms to break down and neutralize phytic acid. 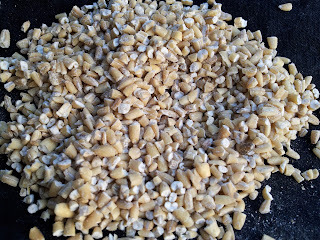 The simple practice of soaking cracked or rolled cereal grains overnight will vastly improve their nutritional benefits." "Soaking in warm water also neutralizes enzyme inhibitors, present in all seeds, and encourages the production of numerous beneficial enzymes. The action of these enzymes increases the amounts of vitamins, especially B vitamins." 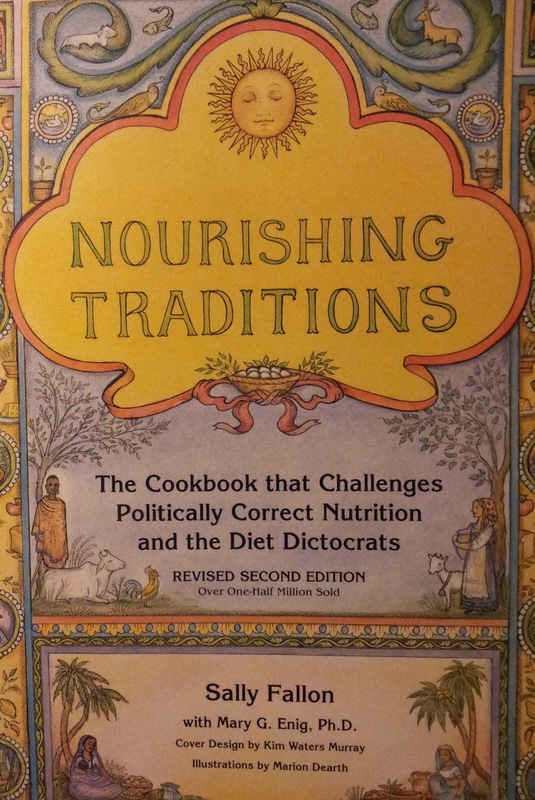 Sally in this book does challenge those who believe saturated fats are our ruin. 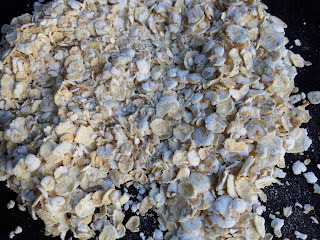 For example she suggests "porridges marry very well with butter or cream, whose fat-soluble activators provide the necessary catalyst for mineral absorption". Yum ... perhaps you can use that leftover cream on your morning porridge and not feel guilty. Dunedin's Harraway's Oats have Scotch Oats. I thought they were just rolled oats in different packaging. So I put them to the test and compared them to standard rolled oats and I could see they are finer flakes. These oats do cook quickly and produce a smoother and creamier texture. 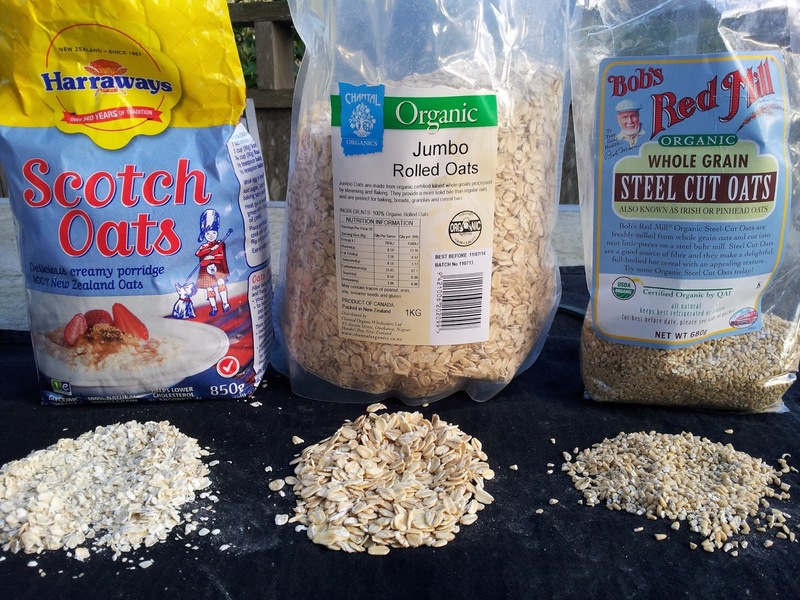 I am demonstrating with the steel cut or pinhead oats, but the process is the same whatever oats you choose - just the cooking time differs. I soak a handful of oats per person, but if you want a measurement, between 1/3 to 1/2 cup per serving. 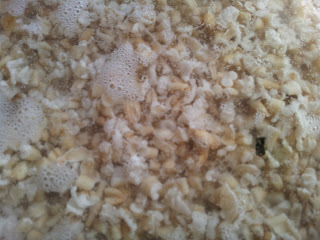 Next morning most of the water has been taken up by the oats - especially the rolled or Scotch oats. I then heat to boiling point another couple of cups of water in a medium sized pot. Cook the porridge in milk if you want, but I prefer water and if I want extra protein then I add a couple of tablespoons of whey powder. 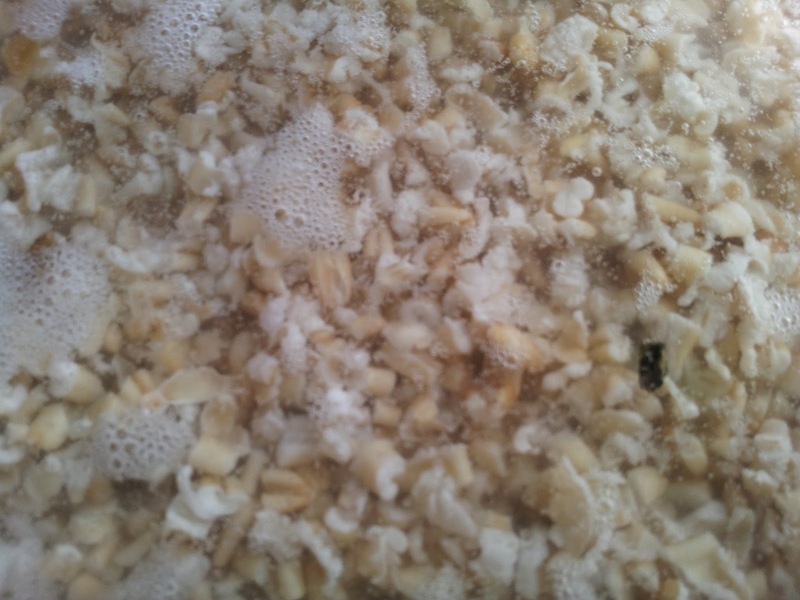 The whey can be added at the time of soaking and aids in the fermentation process. 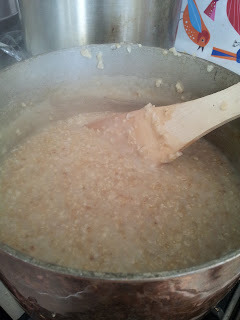 Once the water is boiling gradually add the soaked oats and continue stirring so that they don't stick to the bottom of the pot. 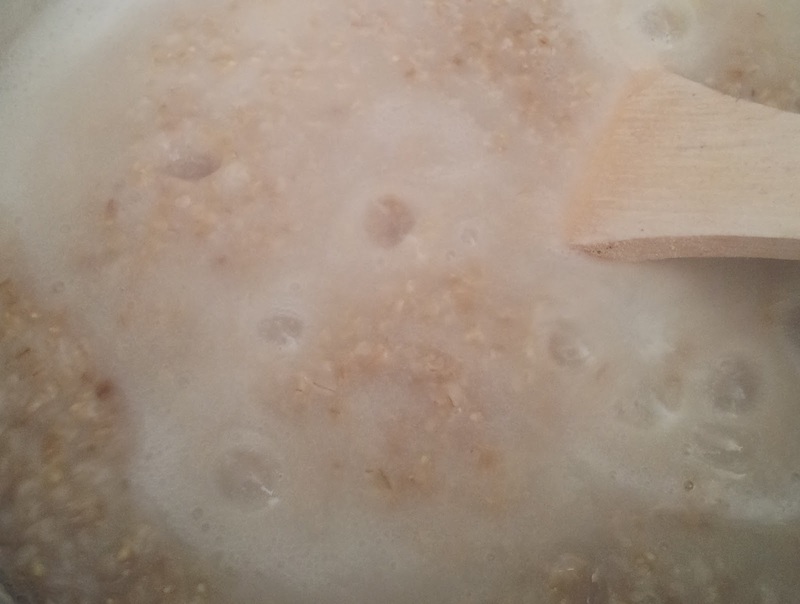 The porridge at the start will be watery and you may think you have porridge soup! Then it begins to bubble like a mudpool in Rotorua ...suddenly it thickens. Have a boiling kettle near by and add water to make it just the right consistency for you. I prefer it to have a runnier consistency rather than a thick lump. 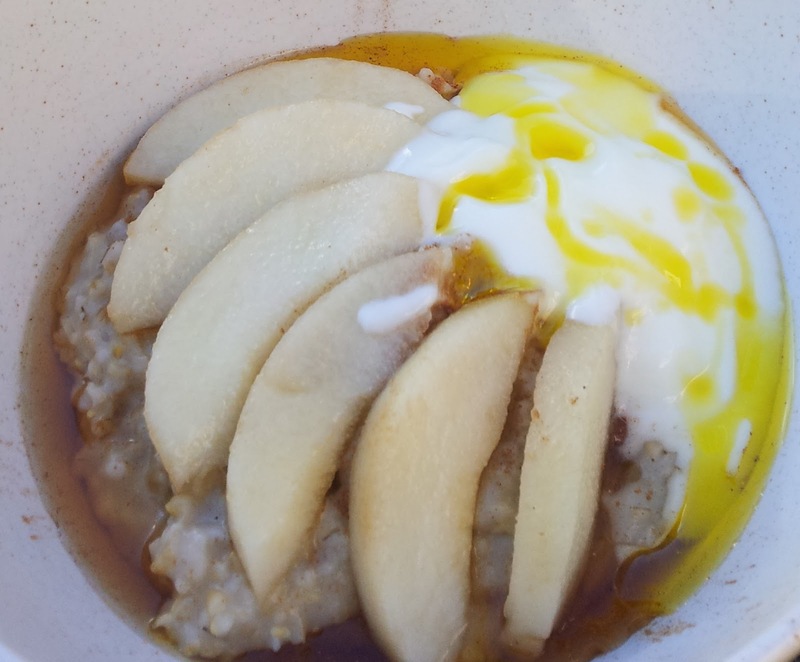 So with porridge nothing goes to waste - you can reheat it with a little water the next day and its still good. Work's a treat. 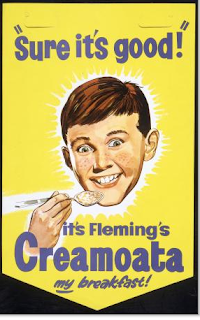 I grew up eating porridge which isn't a surprise with my Scottish lineage (Mackay, Ross, and Mowat) and we lived 20 minutes from the Flemings factory that produced porridge oats. In the small town of Gore, Southland, you can't help but notice the Creamoata Mills where Sgt Dan stands guard on its towering factory walls...they seemed towering to me as a child. Tom Fleming chose Gore for his oat processing mill because Southland had a perfect climate to produce the best oats. "tangible example of industry design from the 19th Century through to the mid 20th Century"
The invention of "Creamoata" was made possible in 1918 by using a new drying machine and this one product helped expand the mill operation and the fortunes of Gore and Southland. In the 1950's and early 60's up to 5 railway wagons filled with bags of Creamoata left Gore each week. Back then it was considered the "National Breakfast". Unfortunately, you can't find Creamoata on supermarket shelves today. The appeal of Creamoata was its fine grain that produced a porridge with a semolina like quality and was very creamy, as the name suggests. I remember it's almost jelly like quality if it was allowed to sit and steam before serving. I loved the way the brown sugar would melt, and if I was lucky I got the top milk. 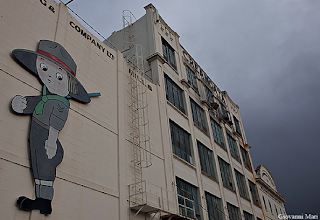 There is an Auckland connection to the Creamoata story... the original Sergeant Dan artwork was created by Charlotte Lawlor for an Auckland advertising agency in the 1920's. 1. 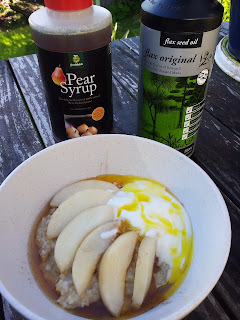 Seasonal Fruit with Pear Syrup - plain porridge with sliced fresh fruit (pears are cheap and available now), yoghurt, the yellow stain of flaxseed oil and this delightful find - Pear Syrup made entirely of pears (no preservatives) produced in Hastings at ENZA Foods and employs 150 seasonal workers, so a good product to support. 3. Ginger and Almond - this is a real family favourite. I add chopped crystallised ginger and almonds at the end of cooking. 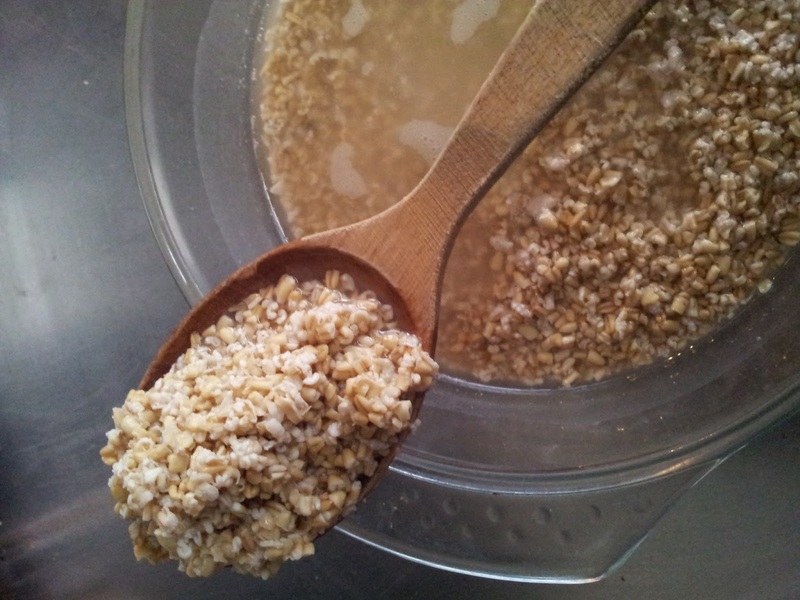 But I also usually add a couple of slices of ginger before soaking the oats to get an infusion of ginger. Ginger is a warming spice that assists in blood circulation, regulating blood sugars and aiding digestion. 4. A Warm Start - Apple and Cinnamon - while the porridge is cooking grate an apple, skin and all and add to the porridge. Just before you turn it off to sit, sprinkle about 1/2 tsp of cinnamon on top. Cinnamon is considered one of the warming spices perfect for a cold winters day and is said to be a remedy for colds and to assist circulation. 5. 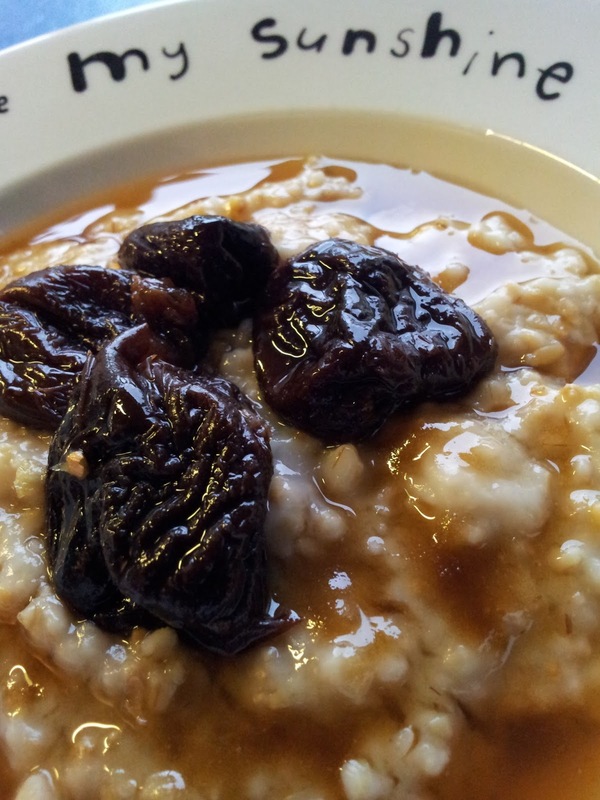 Get up and Go - a topping of prunes soaked in Earl Grey Tea with honey and ginger - delicious! Soak prunes overnight just covered in hot tea, plus a couple of slices of root ginger and a quirt of liquid honey to taste. Prunes are well known as a natural laxative but are also high in antioxidants and vitamin K which is vital for strong bones. The tea thickens and sweetens to a rich syrup with the prune juices overnight. Serve with a dollop of yoghurt or cream. 6. All Good Porridge - Banana and Raisin. I add sliced All Good Bananas (see my posting "Like a proper 'Nana?" 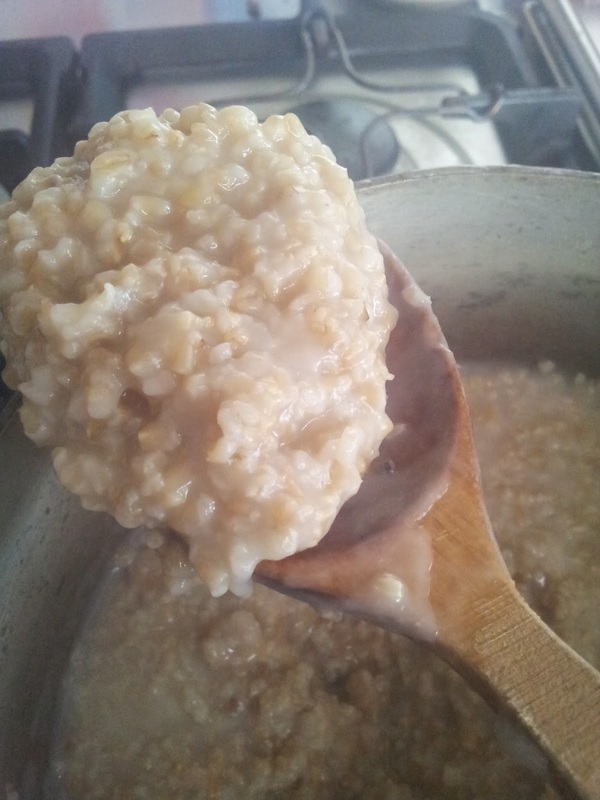 April 2013) to the porridge at the end of cooking so they slightly melt but are not completely 'mushy'. I also add a handful of raisins and sometimes some chopped nuts as well. 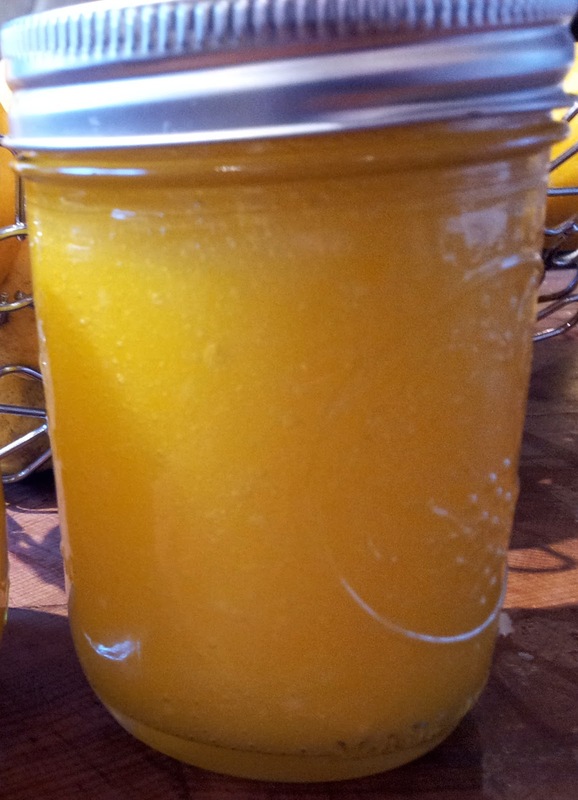 This is a porridge treat when I make a batch of lemon curd (to see how, visit my posting "Lime Curd and Daffodils" Sept 2012 )... and I can think of no nicer way of absorbing the goodness of the oats than by adding rich lemon curd made with butter and the added protein of egg. I put a spoonful of curd and a spoonful of yoghurt on each plate. 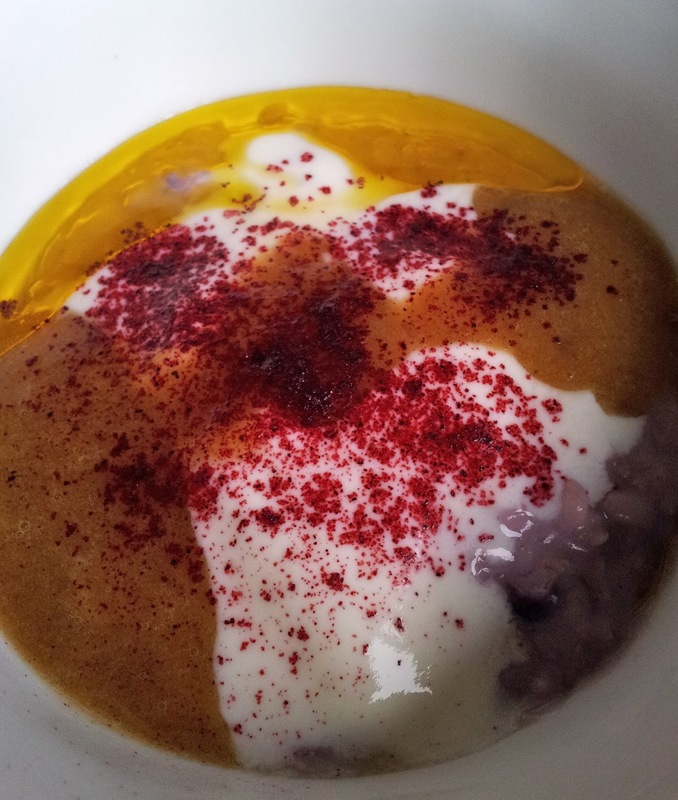 One cup of porridge gives you 70% of your daily manganese (manganese is an essential element for the body to function properly - and is important for growing bones). 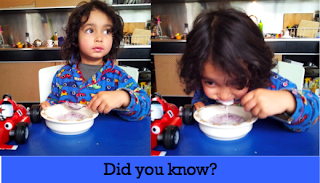 We are encouraging our grandson Beau to enjoy oats for breakfast. Great article, thanks. How long is it ok to soak oats for unrefrigerated e.g. 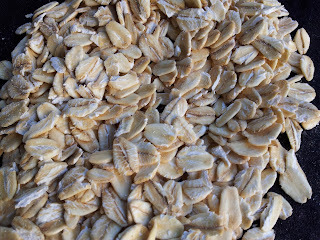 is it ok to soak one weeks worth of oats in water so that i can take out a portion each day? Thanks for the comment. The longest I have had soaking oats on the bench is around 3 days. You could soak a whole bowl but I would keep it in the fridge if you want it to keep all week. Many thanks for fast reply, will take your advice and soak 1 weeks supply for 24 hours then keep the whole batch in fridge.